Fixed situation where if there where no parameters entered in widget, then no events were listed in the widget. 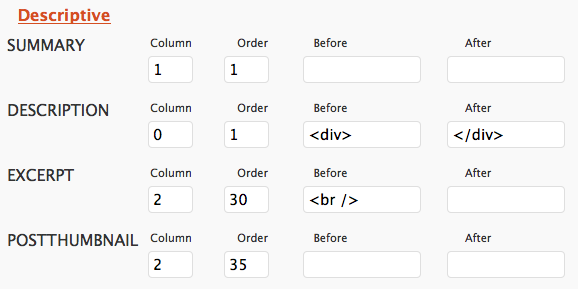 The widget will now pickup default parameters from the listtype like it used to. Added possibility for CURL to follow redirections in case an exernal ics host has moved your ics file while you were not looking! Timed events with excluded dates (EXDATES) will now have events on the excluded days excluded. Note: excluded days overwrite RDATES above if the dates and times are the same. This is because it is possible according to the spec to have RRULES and RDATES in same event and one may wish to have an excluded date for the RRULE. So it is possible to have the 3 co-existing, and thus a priority must be assigned. If your theme supports post thumbnails or feature images, you may now include these separately in your list type. 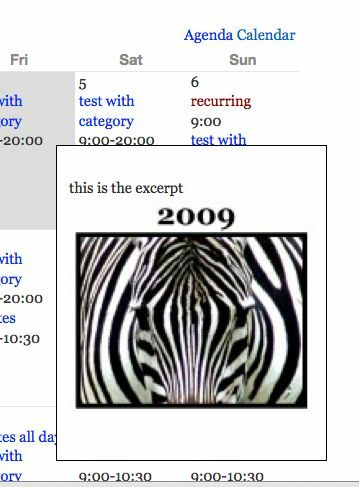 For example, if the image is not already in your post content or added to your excerpt, then you may wish to add the post thumbnail to your event display. Using the list type settings, you can add the post thumbnail separately to a agenda, calendar or widget listing. Note that this stage the size will be the thumbnail size, as used by your theme. If there is a demand to be able to create one’s own event thumbnail image size, please add your thoughts here http://forum.anmari.com/forum.php?id=7. Note that you can change your website thumbnail size via wordpress settings and plugins do exist to allow you to regenerate your old thumbnails. Custom post types are a way of keeping a type of post “separate” from other posts. 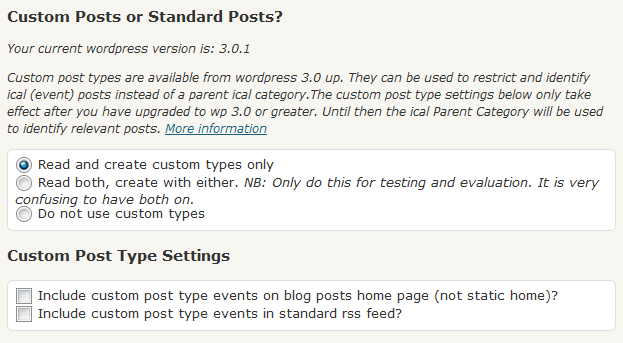 Many Some plugins may work with standard posts, but not with custom posts. 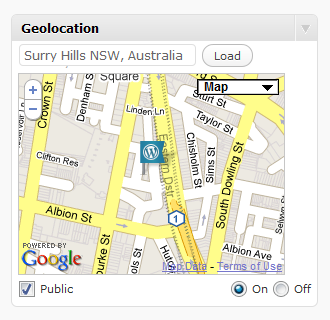 (this has improved ) Eg: social sharing buttons, map/location plugins , filter plugins etc. So investigate whether you expect them to work with your events or not, before deciding which to use. 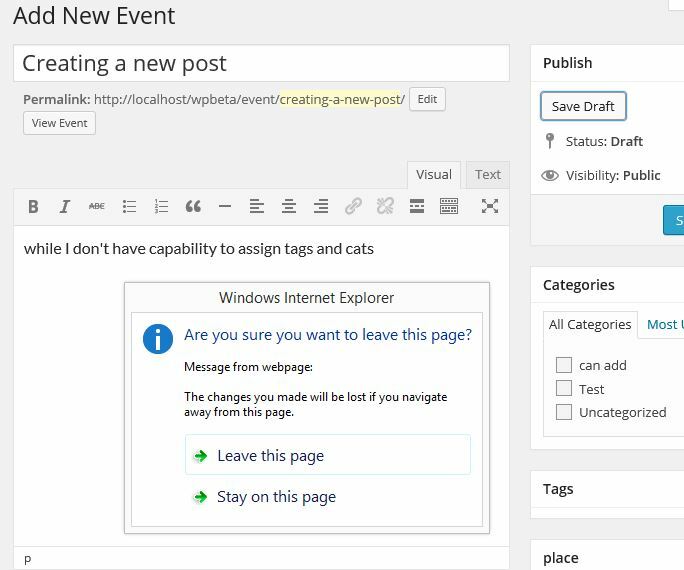 Even if other plugins work with custom post types, you probably need to go back to their configuration once you have added a custom post type and add the new post type in to their configuration. 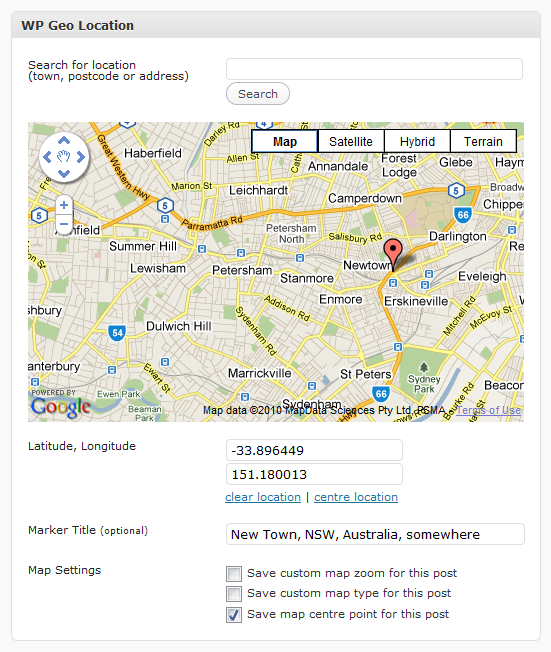 Alternatively if you want another plugin to work with your events, but NOT with your posts – eg: a geo tagging plugin, then maybe use custom posts instead. Once you have added a new custom type type (or indeed a new taxonomy) you may need to flush your permalink rewrite rules. 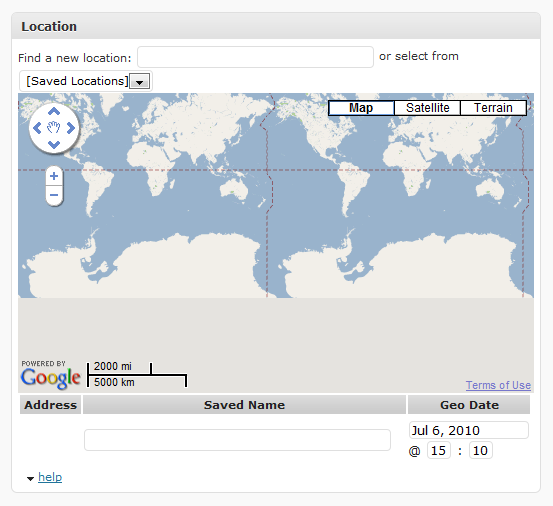 It is not appropriate for the plugin to do this automatically as it can be computationally expensive – it is better if you decide when to do it. It only needs to be done after configuration changes that affect the rules. Goto your permalinks and resave your settings. it adds custom post type events to your rss feed and home page if you want – just tick the check box in the settings (from version 1.1 onwards). it can add taxonomies if you wish – all the code you need is there, including special taxonomy widgets. Most of the suggested code examples show setting (thus over-writing) the post types in the query, rather than checking if there any post types there already (remember ‘post’ as a default of course) and adding to the list. …in that case, plugins could overwrite each other’s filter criteria – it would depend on which filter got executed last. This plugin checks first. Also you can switch it’s version of the filter off completely. If you are using feedburner and a ical plugin that generates feeds, then please use the http://flagrantdisregard.com/feedburner/, rather than the feedsmith plugin. The FD plugin allows for the possibility of some other feed (like an ical feed naturally!) and so will not hijack your ics feed like the feedsmith one does. a simple hack to the google feedsmith plugin to check the global $feed variable and bail if it = ‘ics’ would also do the trick! or if you maintain good coding standards and don’t like editing external plugins (not a good idea generally! 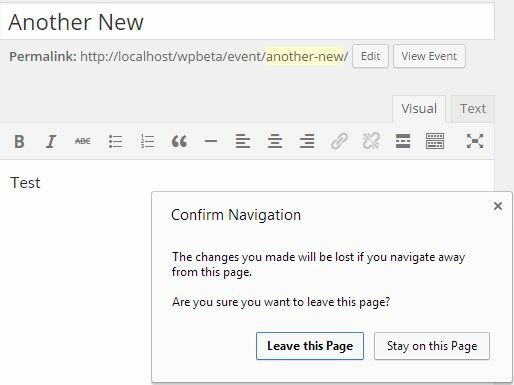 ), then you could muck around with the wordpress action template_redirect and see if you can remove the feedburner redirect IF it is a ics feed.